Health, safety and discipline are among the most important principles of an organization. Below 5S, sometimes also called 5A, is summarized. Only when the advantages for everyone are evident can the workforce be mobilized and the path to Operational Excellence can be jointly pursued. Acceptance is the key to success. We place special value on the inclusion of the workforce. Since 5S functions only mutually, only then can workforce satisfaction and productivity be sustained. Therefore we make our 5S approach concrete and understandable for all employees. We mutually agree upon specific assignments with every affected worker and assign each 5S-role clear targets which can be easily measured. With 5S we transform the work environment on-site. For us the 5S approach is not just a philosophy, but is always expressed in specific tasks with measurable results. Measurability and reproducibility are the requirements for a successful 5S initiative. In order to increase acceptance by the workforce, we include them directly in the process by forming improvement teams. 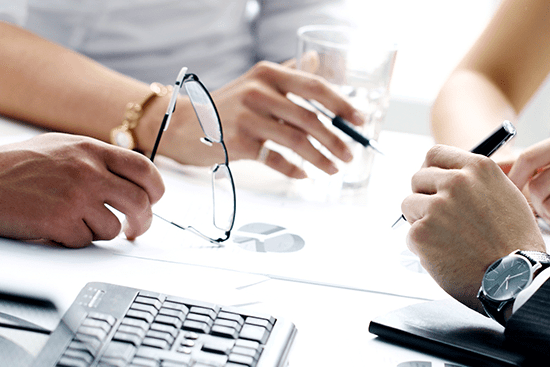 Our OpEx consultants prepare action plans tailored to your company’s needs. We place special importance on a clear division of assignments and their reproducibility in various areas. 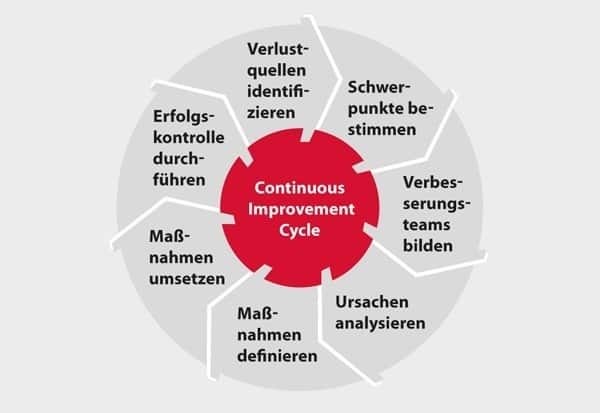 Using the Continuous Improvement Cycle (CIC) our consultants initiate a continuous process. As part of an Operational Excellence Initiative we introduced 5S in 2 plants to increase operating productivity in a company in the chemical industry. Through intensive inclusion of the affected employees our tailored action plan showed early success after a short time. Building on this several CIT Teams (CIT = Continuous Improvement Teams) were trained and supported on site. Teams were guided with the aid of Continuous Improvement Cycles (CIC). Thus the steady improvement process was integrated in the day-to-day workplace and became a sustainable standard procedure to mobilize the organization. Thus the 5S-Initiative led to more productivity through motivated and trained employees.